Applewood Plumbing Heating & Electric has been with the Team Dave Logan group since its inception 10 years ago and now Team Dave Logan has named Applewood as their exclusively endorsed electrical services contractor. Both establishments demonstrate limitless dedication in delivering astounding quality of work to their customers. Their relationship has assisted community members to easily access a trustworthy company to service their home repair needs. 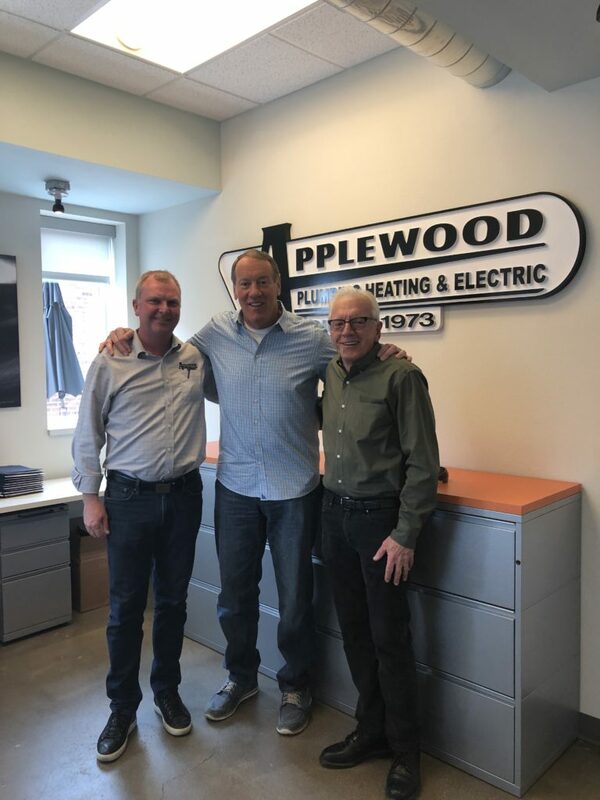 As part of the exclusive partnership, Applewood will be offering special discounts and service opportunities including a $60 service coupon for Team Dave Logan customers.